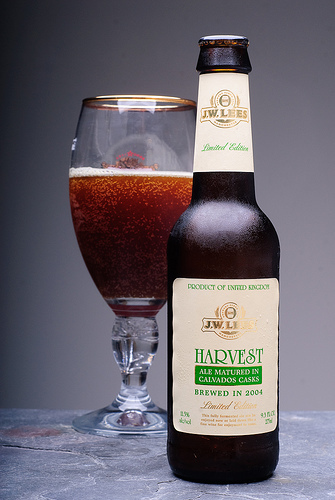 Uncompromising 11.5% alcohol-laden aged barleywine retains luscious creamy richness and chewy butterscotch center culminating sweet bourbon warmth. Thickest syrupy Scotch malting coats floral honeysuckle-dandelion dalliance and candy-sugared medicinal nuance bracing bruised cherry, ripe raisin, curacao orange, and purple grape illusions, gaining fulsome aggressive prominence to everlasting liqueur finish. Luxuriant slow sipping masterpiece provides awesome buzz.